Learning how to choose and apply concealer can make a huge difference if you suffer from dark circles. These appear on the delicate skin of the eye area and even if you are trying therapeutic methods to get rid of these, concealing them – even if only in the short-term will make you look less tired, feel better, and generally more confident. Choosing the right product for your complexion, depends on the tone and texture of the skin. Everyone is different, and what works well on one person’s skin may not do a great job on someone else’s. Skin tone may be light, medium or dark, and there are a wide range of products to suit them all. Concealing products should hide imperfections but should not be noticeable themselves, so it is important to choose a product that works with your skin’s texture, for example certain products are formulated to suit dry, flaky skin. 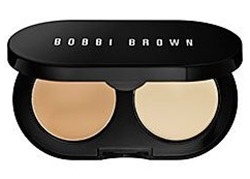 A creamy textured product, such as Bobbi Brown’s Creamy Concealer or Laura Mercier’s Undercover, will add moisture to dry skin without highlighting fine lines and wrinkles. If you are struggling to find a concealing product that will work well for under-eye shadows on very pale skin, you are not alone! Many women with very fair skin find it difficult to find a product that is the right shade and really does hide under eye circles, which often look darker on light skin tones. Look for a product with the palest shade and a pink tone, such as Benefit Erase Paste, Eve Pearl Salmon Concealer or Bobbi Brown Corrector. The best product for concealing those dark shadows on skin with a medium, tan or golden tone is one with a yellowish base. Most cosmetic lines have a good selection of yellowish tinted ones. Remember to go for one that is one shade lighter than your foundation. You may also want to have a second one in a darker shade, if your skin tans in the summer time. For a dark skin tone, choose one with golden or orange undertones to balance skin tone and avoid the ashy, gray effect that the wrong product can have. 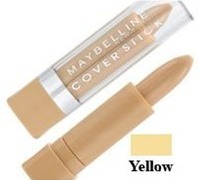 Bobbi Brown has a great range, and Maybelline’s New York Cover Stick Corrector comes highly recommended. Once you have found the ideal product for your skin, make sure you know how to apply it correctly. If you mess up the application, it will not matter how good the product is, it will just look wrong! The secret to applying concealer is to build up fine layers so that the product appears to disappear into your skin, while hiding the unwanted shadows. Work gently on this delicate part of your face, using the pads of your fingers to tap the product into your skin. This is very important as it is vital that you do not make matters worse by pulling or stretching the skin here. A dusting of loose powder will help it to set.